Matrimony is a Sacrament of Vocations. The exchange of marriage vows in the sacrament points to the union and sanctification of the married couple in the likeness of Christ’s union with the Church. Matrimony celebrates and witnesses the covenant of love between a man and a woman and symbolizes in that union Christ’s covenant of love for the church. Guiding and support are provided during the preparation period (minimum of 6 months) before the celebration. Engagement Preparation and help with the Wedding Mass Liturgy. It is suggested that you wait to schedule your reception until your first meeting with the priest. If you plan around the availability of a reception venue, you may have scheduling conflicts due to the church already being booked, or there may not be time to properly complete the marriage preparation. If a couple chooses to do their marriage preparation at a parish other than St. 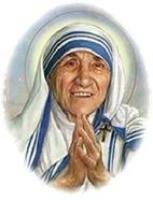 Mother Teresa of Calcutta, but intend to be married here, the priest will need to give permission for them to do so. A Catholic Wedding is a life-long Sacrament. All who wish to be married at St. Mother Teresa of Calcutta Catholic Church must first meet with one of the Parish Priests.